Happy Tuesday from FWS! 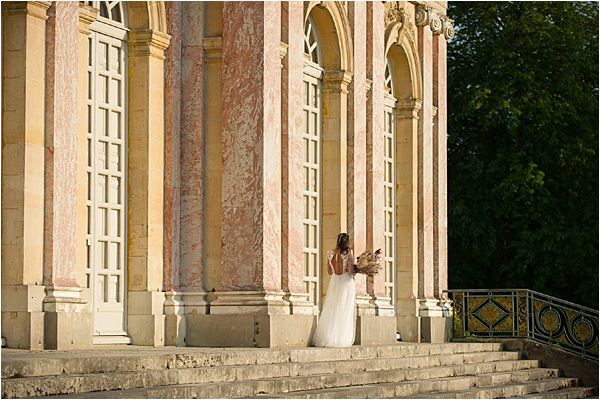 Let’s take a mid-week walk along the breathtaking, centuries-old famous wedding venue in the suburb of Paris! 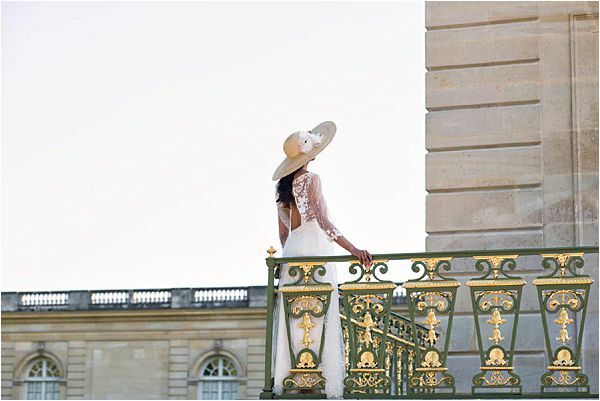 This post features what might possibly be a most classy and wonderful Versailles wedding, captured by Olivier Lalin and planned and styled by Wedding Light Events. 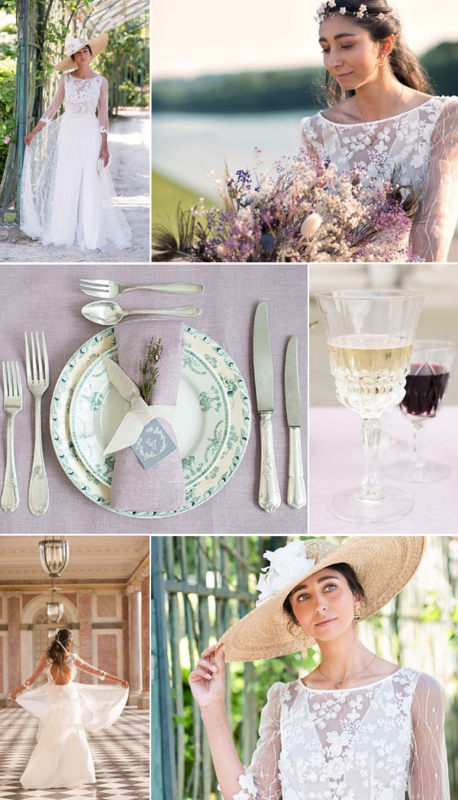 French elegance is known for being captivating, elusive, and difficult to define. It always seems to strike the perfect balance between cultivated sophistication and improvised relaxation. 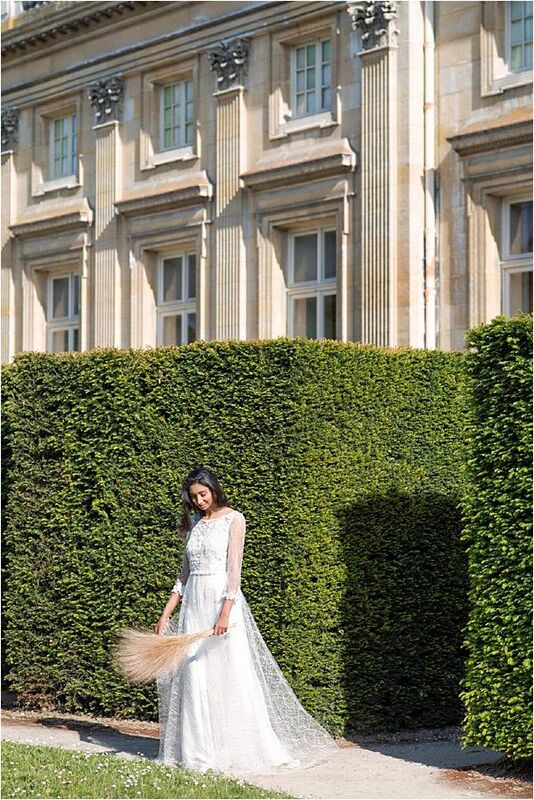 Paris-based wedding planner Wedding Light Events recently put together a style shoot set in the enchanting gardens of the Palace of Versailles, former home of Marie-Antoinette, to showcase several spectacular vendors and a bridal look that captures that certain “je ne sais quoi” for which the French are so famous. 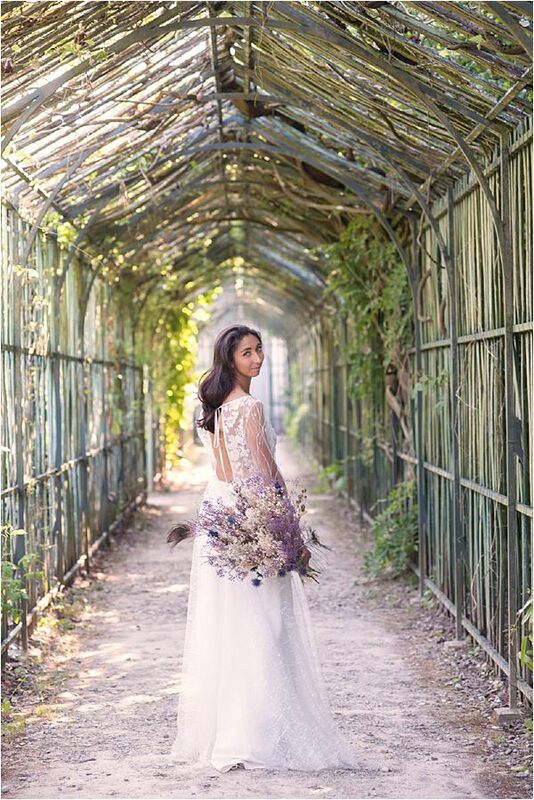 A charming bride strolls through the Palace’s gardens, which include lakes, trellises, an extensive variety of beautiful flowers, and a small and large Trianon – all perfectly symbolizing the two sides of the French aesthetic. 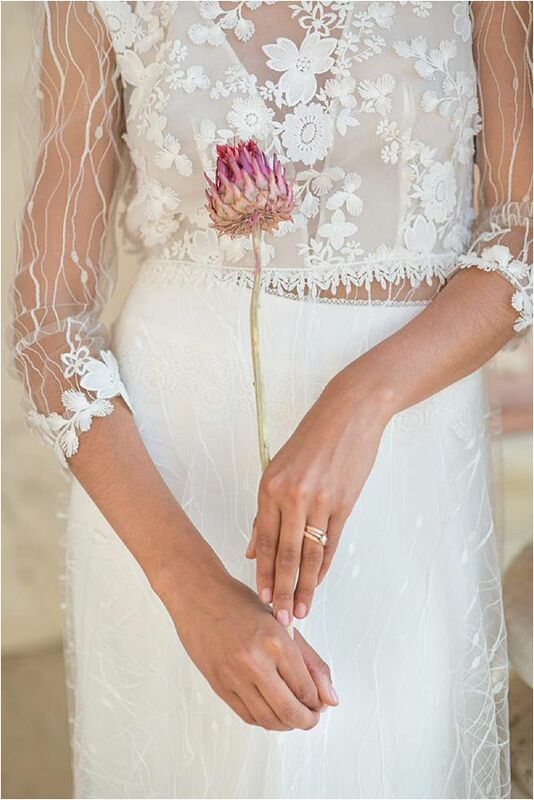 Although Marie-Antoinette’s time was filled with rigidness and formality, today’s bride is moving away from rules and stiff corsets and wants to instead feel free in her choice of wedding attire, displaying all the beauty and the exceptional character of her dress in the key moments of the ceremony. 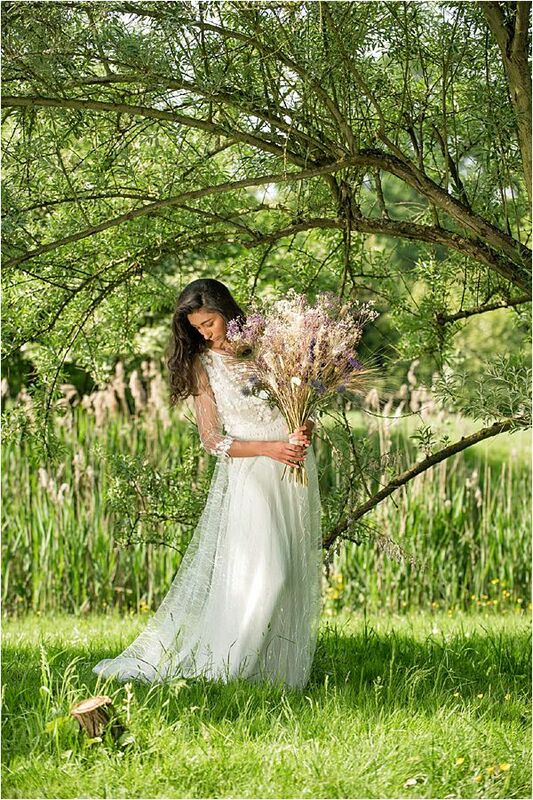 This cloud dress created by Amarildine is a delicate blend of casualness and French chic. 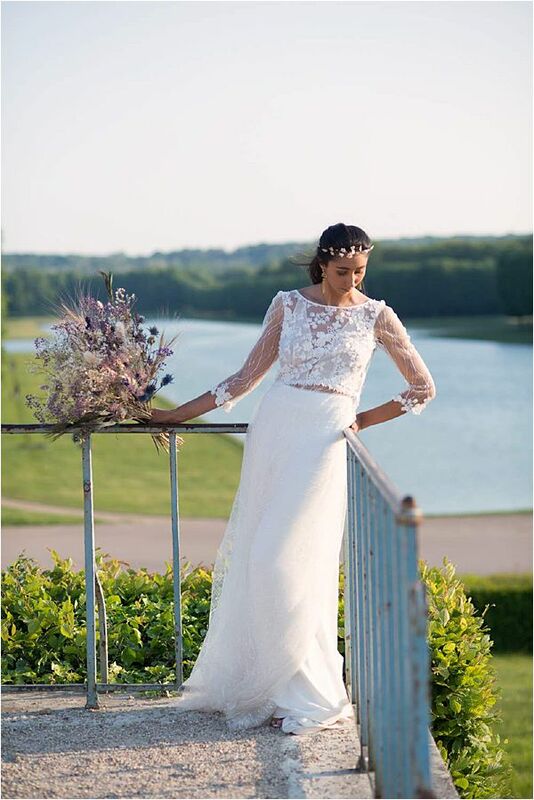 The dress caresses the skin without enclosing it, deploying its veils of gorgeous lace in the bride’s movements. 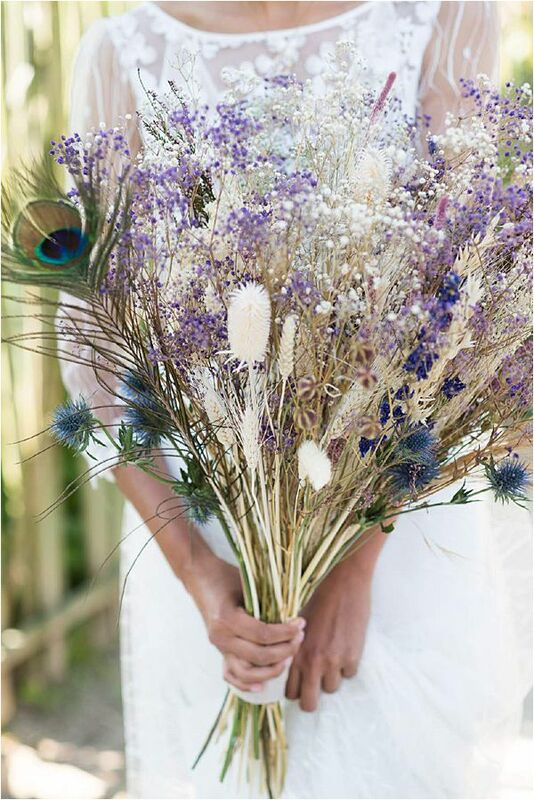 The exquisite bouquet designed by Miyoko Yasumoto includes dried flowers from the fields, adding a touch of country relaxation while creating surprise with its quaint originality. 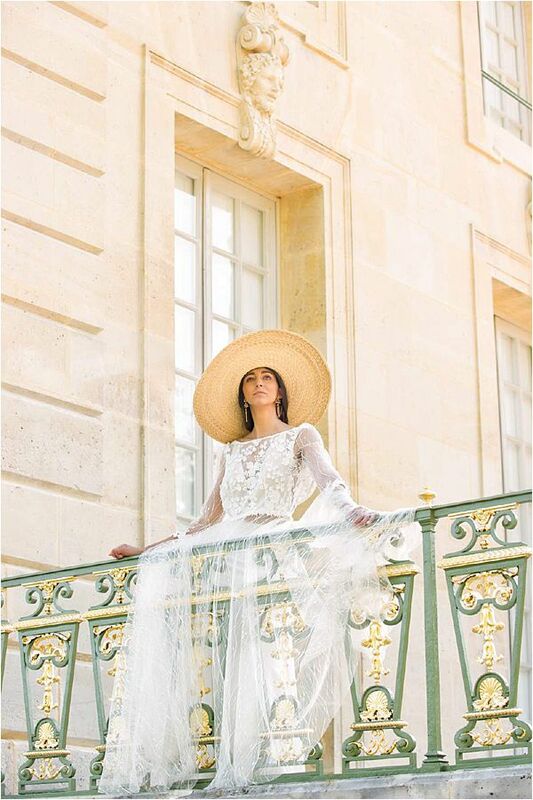 The lovely bride is shown during the sunniest hours with her hair worn both loose and liberated and styled in various classic looks while adorned with a large, playful straw hat provided by Atelier 144, a Parisian hat shop located on Rue Saint-Sulpice. 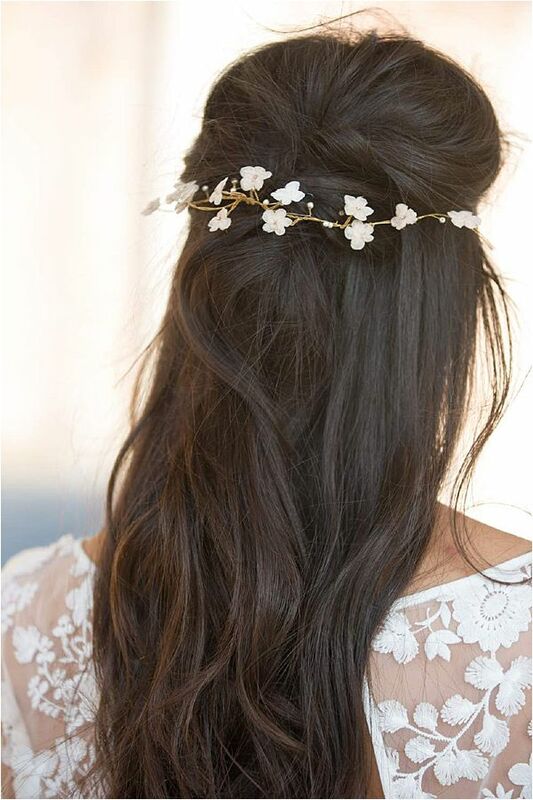 Of course, another important element to any wedding is the ring. 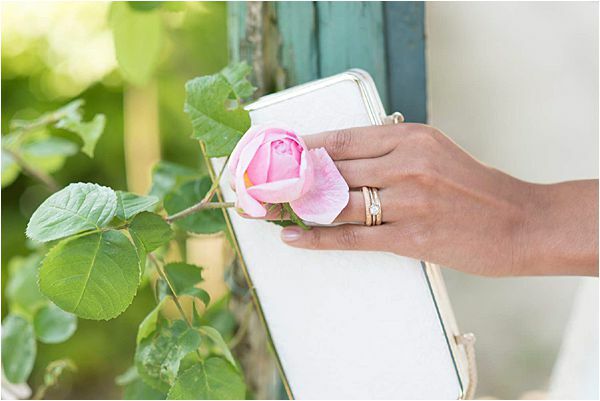 How about an ethical choice for your ring, made to measure by jeweler Paulette à Bicyclette in a Parisian workshop, as a perfect and pure symbol of your union in France? 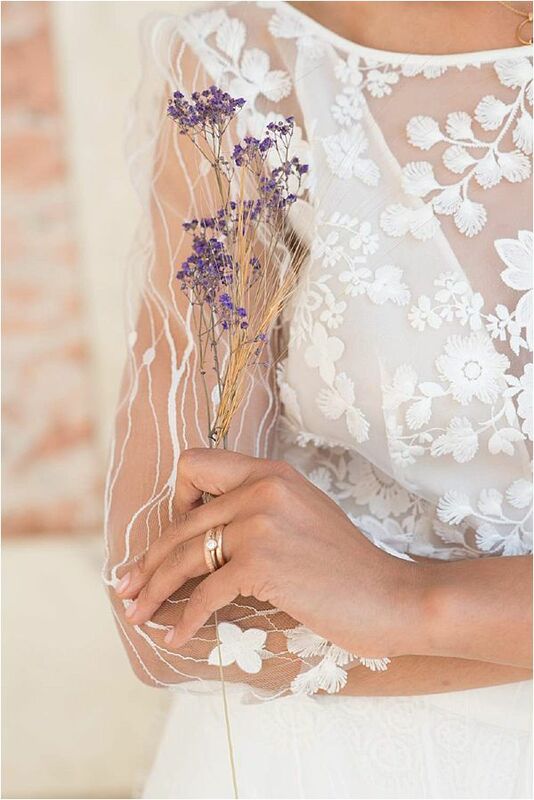 The bride is wearing the work of Paulette à Bicyclette, created responsibly with Fairmined gold and displaying iconic originality with the three rings of various colors. 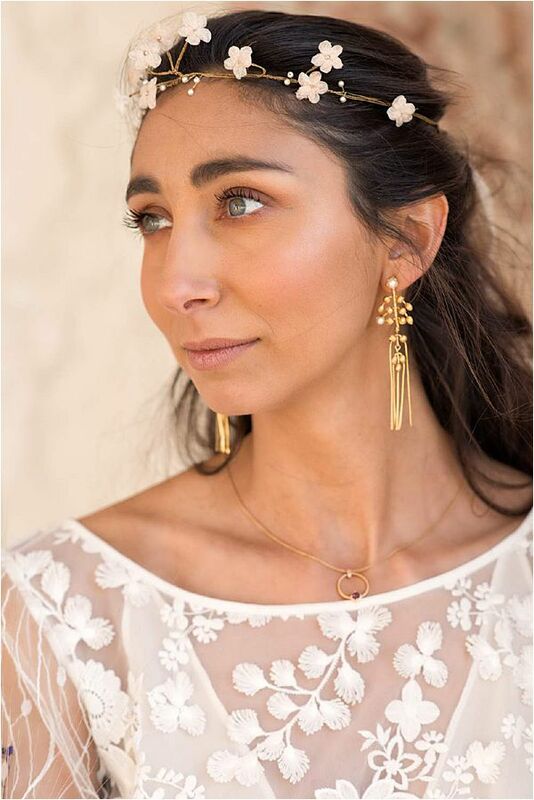 Earrings made by Parisian jeweler Cécile Boccara adorn the bride’s ears, with a delicate floral crown bringing the final touch, mixing sophistication and country whimsy. 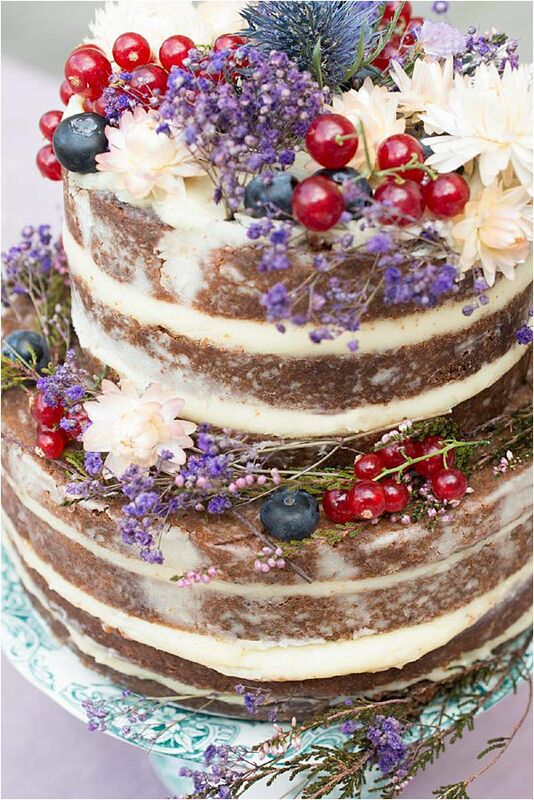 Our friends Tookies Gambetta created a Yummy layered wedding cake which Miyyoko decorated with seasonal fruits and flowers. 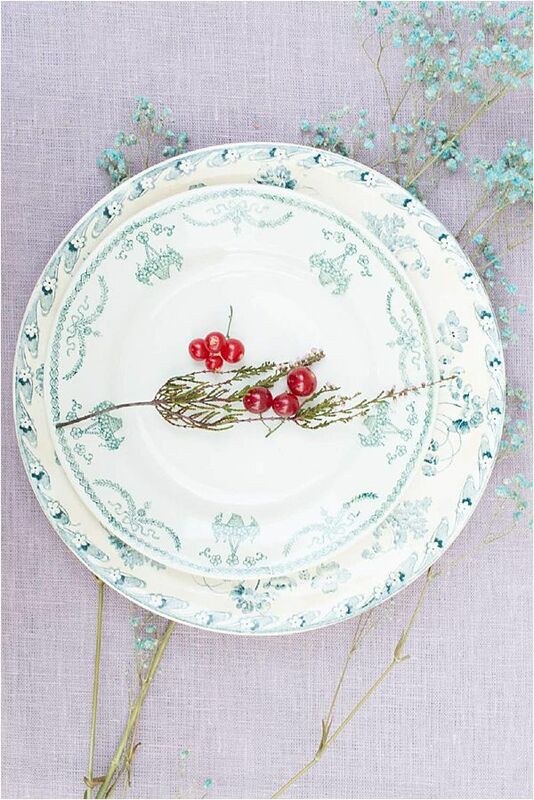 Next, there is the added charm of the mismatched dishes provided by Vaisselle Vintage, composing a large table with almost improvised plant ornaments with dried flowers, a nod to the tradition of bridal bouquets in vogue in the 19th century, which floral designer Miyoko Yasumoto has made her specialty. 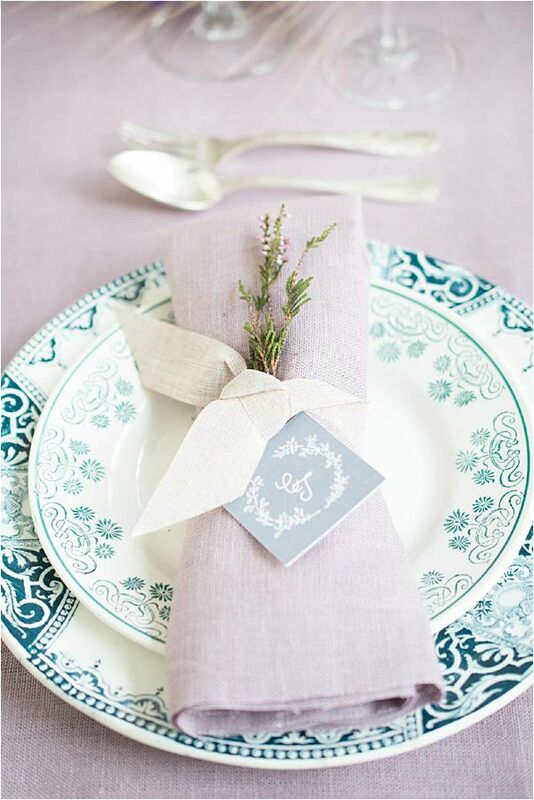 Vintage details found here and there help add to the classic ambiance of your special day. Finally, a beautiful table created in the continuity of the spirit of your marriage with a touch of well-brought originality will surprise and enchant the senses. 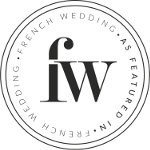 If you are looking to plan a romantic wedding or elopement in Paris, WeddingLight Events would be delighted to assist you in creating a beautiful, unforgettable experience. We offer a wide range of services that will help make your French wedding dreams come to life. Please do not hesitate to contact us today!